This book contains approximately two hundred biographies of prominent, or notorious, Jersey men and women and Island residents. They are mostly those who have died during the second half of the twentieth century. 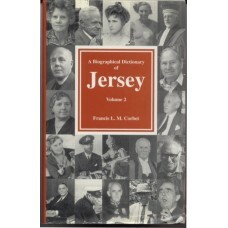 The book is designed as a continuation of the Revered George Balleine's "A Biographical Dictionary of Jersey" (1948). It was published on the fiftieth anniversary of the original publication and contains biographies of some people from earlier periods who were not covered by Balleine.